MaltaPost will be holding a series of activities next month to mark the 150th Anniversary of the first Malta stamp. The Queen Victoria Half Penny was issued for local use in December of 1860. The engraver of the die of the stamp was Jean Ferdinand Joubert de la’ Ferte, and the stamp was printed by Thomas de la Rue in UK. The Halfpenny Yellow was introduced and covered the cost of a letter up to ½ oz. in weight. It was used between 1860 and 1885. Due to different issue dates the Halfpenny yellow comes in a variety of shades, watermarks and perforations. The activities will include an exhibition featuring Malta's first stamps together with postal items that have been used in these last 150 years. Also on display will be artworks by various Maltese artists that were produced for the design of stamps. The exhibition will be held at the National Library and will be open to the public for a month from December 1. MaltaPost will also issue a philatelic commemorative miniature sheet entitled ‘150th Anniversary First Malta Stamp 1st December 1860’ to commemorate this event. 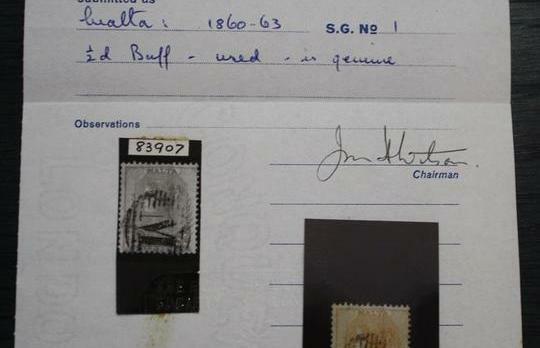 Joseph Gafà, MaltaPost CEO said that a number of expert talks will be held at the National Library focusing on the Halfpenny Yellow Malta Stamp. A number of open days will also be held at the MaltaPost Premises. The visits will include tours in a number of departments including the Central Mail Room. This will give the opportunity to the public to observe the full process behind delivering the mail.